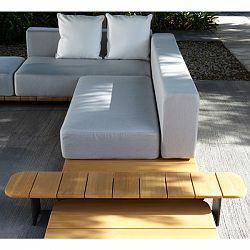 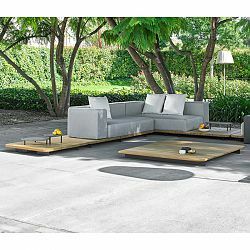 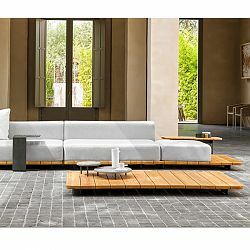 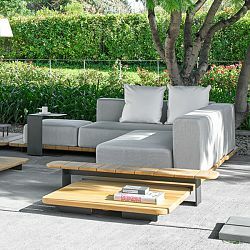 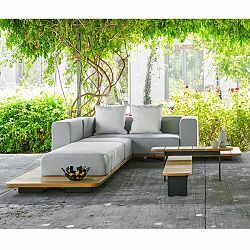 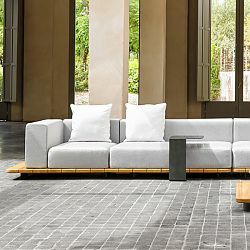 Point, Pal, sectional, sofa, Outdoor, teak, Lounge - HomeInfatuation.com. 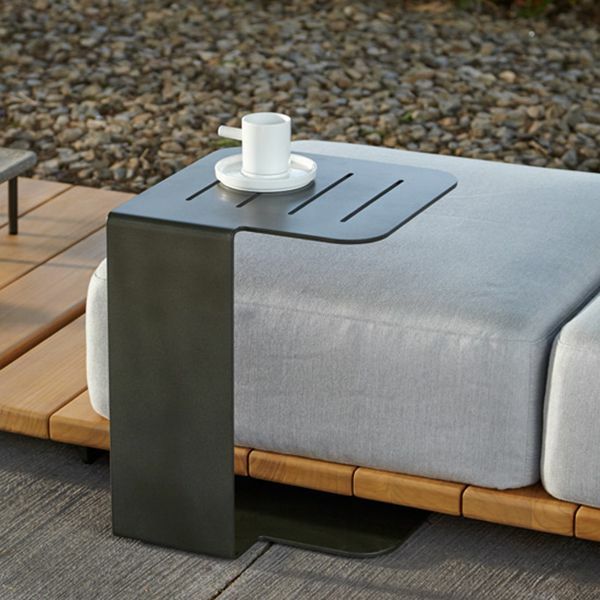 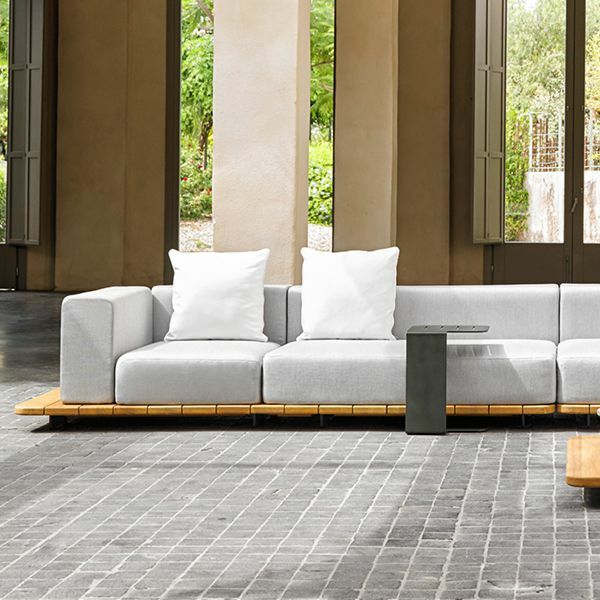 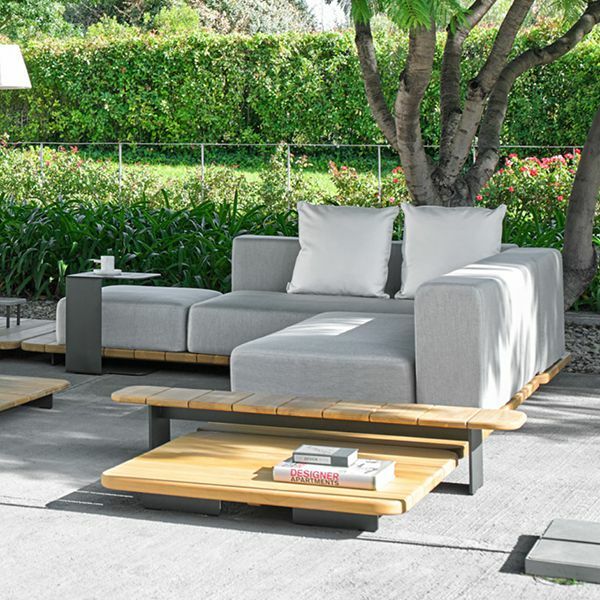 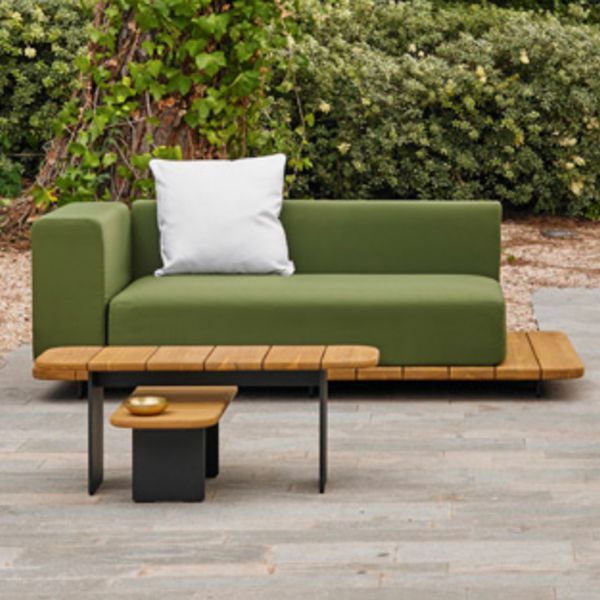 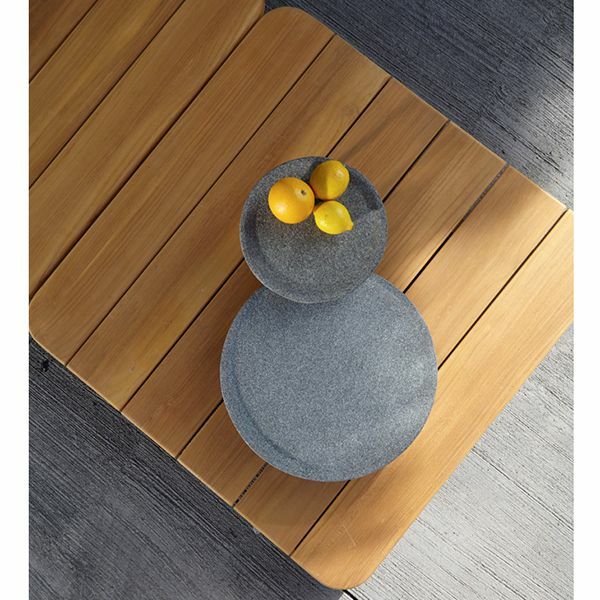 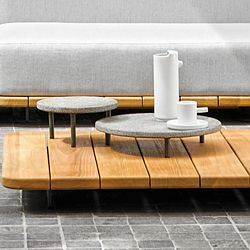 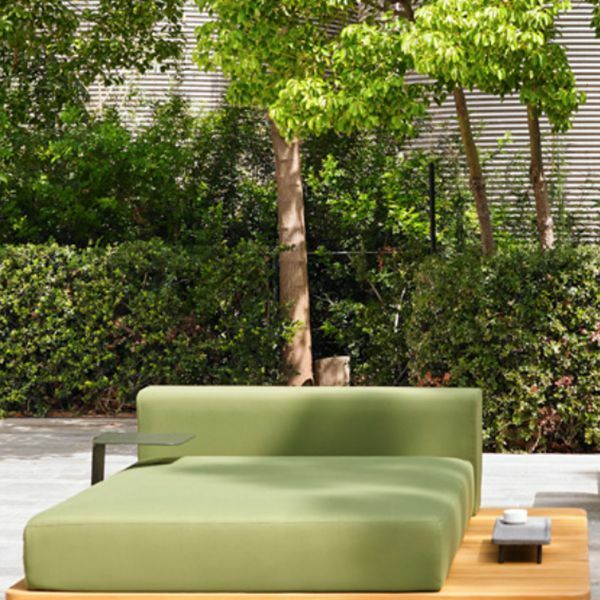 The Pal teak outdoor sectional system offers an endless number of arrangement possibilities. 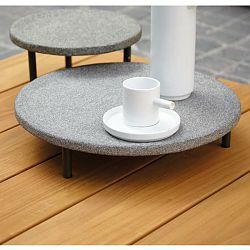 Coffee and side tables are also available. The cushions are made with an outdoor rated foam and covered with Sunbrella® outdoor acrylic fabric that has excellent resistance to color fading by the sun. 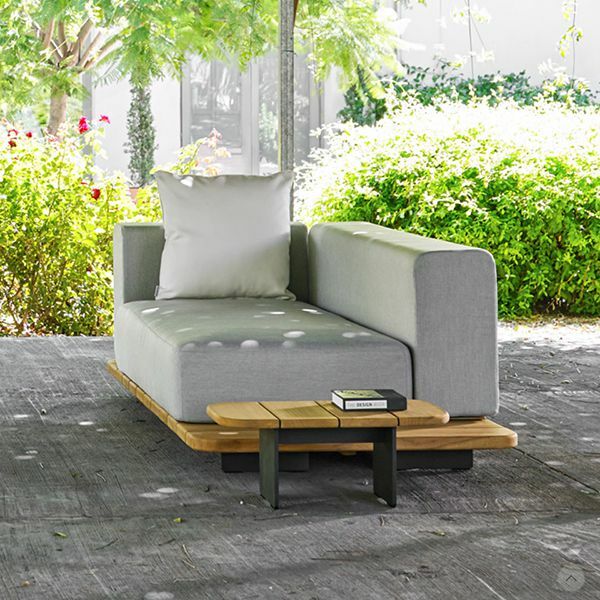 The fabric has an inner liner that prevents almost any moisture from entering the cushion. 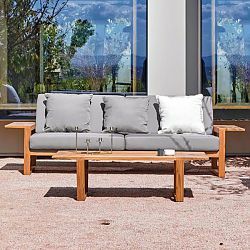 There are several choices of fabric colors. 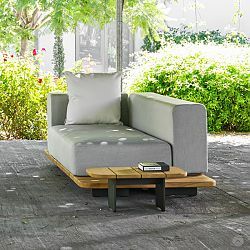 The pricing listed is for the fabric shown in the images. 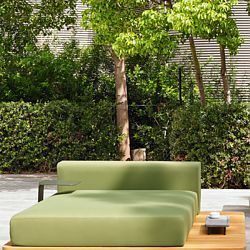 Please inquire for other fabric colors. Because the arrangement possibilities are almost endless please contact us to discuss your needs and receive pricing.